It’s not just your eyes we care about, it’s your health too. 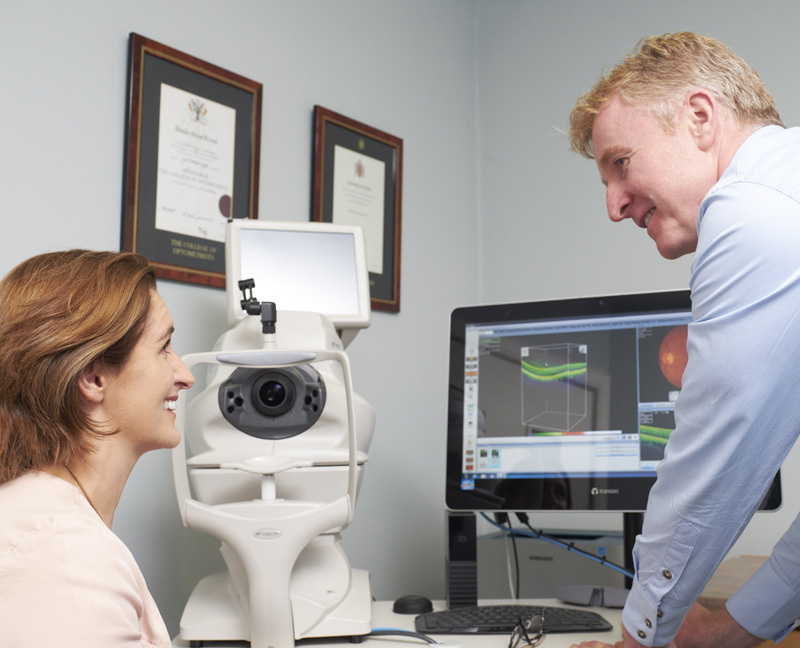 Using the latest OCT technology, we can provide an in-depth assessment of your eye health and identify early warning signs of conditions including macular degeneration, diabetes, glaucoma, retinal and vitreous detachments. An Optical Coherence Tomography scan (referred to as an OCT scan) helps us view the health of your eyes in greater detail. OCT scans are for people of all ages and are non-invasive and painless. They can be done in a matter of seconds during your eye test. Taking an OCT scan of your eye allows us to see what’s going on beneath the surface of your eye. It works in a similar way to MRI and ultrasound scans, using light waves to produce a 3D image of your eye. This allows us detect any possible eye abnormalities. We can detect even the most subtle changes to the deep tissue in your eye with every test you take. This provides you with an invaluable on-going record of the health and condition of your eyes. OCT scans are normally provided in eye hospitals but are provided at Brady Opticians. A scan costs €35 but the health benefits can be invaluable.